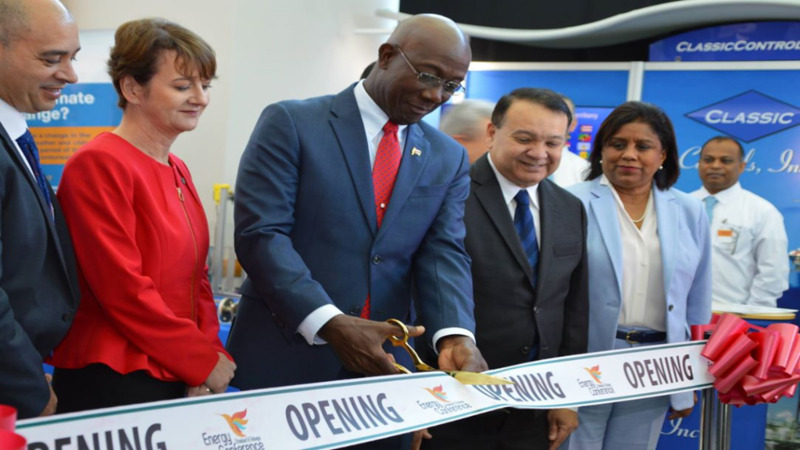 Prime Minister Dr Keith Rowley cuts the ribbon officially opening the tradeshow at the Trinidad and Tobago Energy Conference 2019, hosted by the Energy Chamber of Trinidad and Tobago. Photo courtesy the Office of the Prime Minister. There is no personal deal between Prime Minister Dr Keith Rowley and Venezuelan President Nicolas Maduro over the Dragon Gas Field. And, speaking with reporters on the opening day of the Trinidad and Tobago Energy Conference 2019, hosted by the Energy Chamber of Trinidad and Tobago, Rowley said to insinuate that such an arrangement exists is an insult to him as this country’s Prime Minister. He explained that the gas deal was nothing more than a heads-of-Government agreement between Trinidad and Tobago and Venezuela, aimed at advancing cooperation, collaboration and exploitation of T&T’s hydrocarbon resources. He accused media and “some ne’er-do-wells” of making the business arrangement appear as though it is “something personal” between him and the Venezuelan President. He restated Government’s position in the ongoing political crisis in Venezuela as neutral, saying that Government has “no horse in the race” and making it clear that his administration was not taking any sides in the matter. Trinidad and Tobago has recognised Nicolas Maduro as the elected President of the Bolivarian Republic, while several countries including the United States have recognised rival Juan Guaido as the South American nation’s legitimate leader. Responding to a question on the possibility of the imposition of trade restrictions by the United States, which has already hit the country’s state-run oil company PDVSA with sanctions, Rowley said this country would continue to stand on principle. “Whenever I hear that kind of concern it reminds me of the woman with a man in her house and her daughter, and the daughter complains to her about the man’s behaviour and she takes the position that if I stand up on principle with this child, the man might leave me,” he continued. 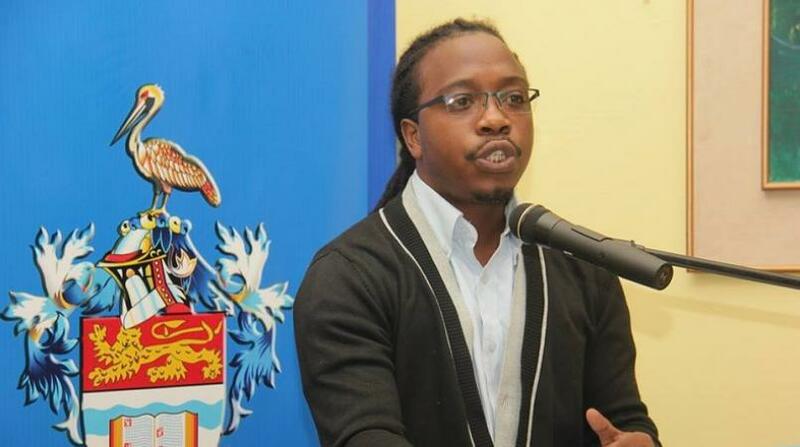 He said it is Trinidad and Tobago’s and by extension CARICOM’s position that principles are not of convenience. 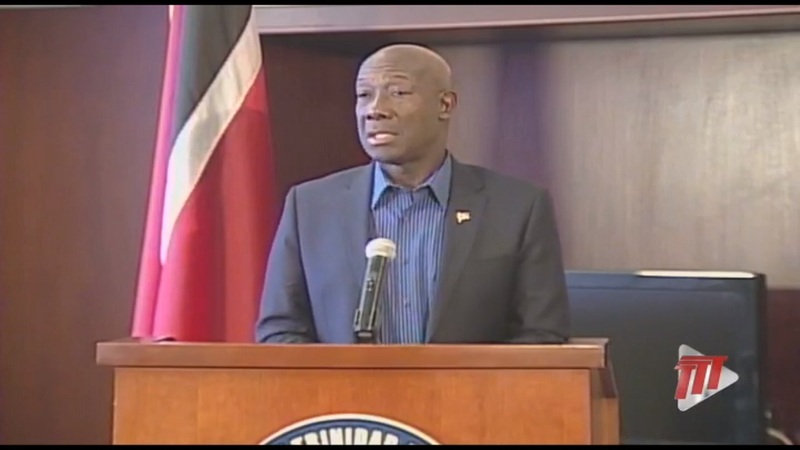 Rowley said T&T would stand on those principles, adding that he had every confidence that the majority of the United States will understand this country’s position. He said any deal with T&T’s South American neighbours is not based on which government is in power, but on Venezuela itself. Rowley said Government hopes to see a resolution to the political crisis. Meanwhile, the Prime Minister expressed optimism that there would be a turnaround in gas production, which he said is expected to stabilise over the course of the next three years. He noted that gas production is on the rise, increasing from 3.2 billion cubic feet per day in 2017, to 3.6 billion cubic feet in 2018 and is expected to increase to 3.9 billion cubic feet per day in 2019 as new production is brought on stream. On the matter of the Pointe-a-Pierre refinery, Rowley revealed that a request for proposal (RFP) is currently being finalised for issue to the industry. Expressions of interest have been received from around 50 interested parties, including the Oilfield Workers Trade Union (OWTU) which has been given the opportunity to be the first to have access to data for the preparation of its proposal. He indicated that the selection of a successful bidder will be completed mid-year while restarting of refinery operations would begin “sometime later on”. “On finalisation of the RFP, a public notice will be issued inviting bids. It is projected that entire process of receiving, evaluating and selection of the successful bidder will be completed by the end of June 2019. The Prime Minister said this would be dependent entirely on what the interested parties propose to the Government in the coming months.